I'm not going to arrogantly tell you that my way is the right way. 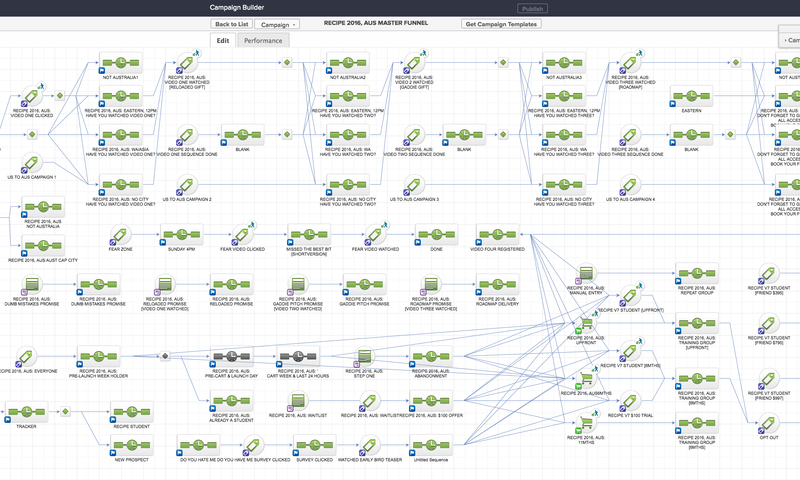 One of the beauties of Infusionsoft is that you have the freedom to do most anything you want with Campaign design – including making an incredibly difficult to understand, hard to troubleshoot, monstrosity of a “Frankenfunnel”. Yes, I said it – a Frankenfunnel! What I can tell you is only what I refer to as my “Best Practices” – the things I do consistently in order to avoid mistakes (learned) from the past. After all, that's all experience really is, right? Experience just means that you've jacked things up many times and (hopefully) “learned” from it (or at least survived it). I can categorically tell you that I am quite “experienced” – I've made far more than my share of mistakes along the way. But with that history I've come up with my own collection of Best Practices that I now follow to avoid the Frankenfunnels of the past and the pitfalls that go with them. 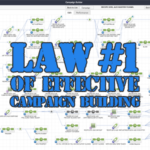 This post will begin a series of several of the Laws of Effective Campaign Building. A Frankenfunnel is a beast; a freak of nature; something no mere mortal should ever be expected to conquer; a campaign so hideously complex that the very sight of it – much like looking into the face of Medusa – causes you to immediately go into cardiac arrest. Now, I'm going to risk it. I'm going to show you an illustration of a Frankenfunnel, but please, please, please…. do NOT stare at it too long or you might just start to feel your chest tightening up. Frankenfunnels are deathly afraid of notations and instructions. Wow, they tremble in fear at the very thought of including even the smallest little explanatory note. It is the true Achilles Heel of the great Frankenfunnel beast. You will almost never find a single comment or instruction within their spiderweb of confusion. The zoom of the page on a Frankenfunnel almost always has to be set to the maximum size to even begin to come close to fitting this monster into view. Don't worry though, this is actually a protective measure on Infusionsoft's part. They know that if they minimize the apparent size of the Frankenfunnel beast, it's less likely to send you into convulsions (I think their lawyers insisted on that). Also very indicative of a Frankenfunnel, is the need to pan all over the page endlessly in search of just where it begins? or where it ends? Sort of like a twisted river of Styx, the Frankenfunnel apparently has no beginning, no end and certainly no end to frustration and overwhelm! NOTE: I'm also NOT going to show you but just a small portion of the Frankenfunnel because, for legal reasons, I don't want to be responsible for any long-term post traumatic stress disorders you might incur from seeing the “entire” beast in its raw form. Fortunately, as far as Frankenfunnels go, this one is quite tame and only about a 6 on the scale of 1 to 10. In the second example, if someone never purchases they'll simply queue up in the ‘Marketing Sequence' or if they already own the product they'll simply queue up in that sequence. In the first illustration above, however, we use a Stop Goal so that after a period of time of non-purchase, we simply apply that stop goal and pull them out of the sequence. Similarly, if they already own the product and we want to skip them, we also apply the stop goal tag and pull them out of the campaign. When I train people on this concept – whether online or in person with my clients – I always get objections. The primary objection is that they like leaving the “dangling sequences” because they want to see contacts that fall into that bucket via the reporting window of Campaign Builder. But this fear comes from misunderstanding. You shouldn't try to structure your campaigns to have dangling sequences just to queue up contacts for reporting purposes. The fact is that you should be using Goals for reporting purposes, NOT contacts queued in sequences. But this fear is deeply held, so we have to go further. The root cause of this comes from the lack of understanding of how to actually report on campaigns. Most think that the visual reporting provided inside of Campaign Builder is where reporting is done. What they don't realize is that this is only a “convenient” way of looking at recent reporting data. The proper way to really report on Campaign Builder stats is via Marketing -> Reports -> Campaign Goal Report. When you spend some time using this report you'll realize that other supposed limitations of Campaign Builder reporting go away. For example, many think that you can't get reports on contacts beyond 30 days – that's just not true! 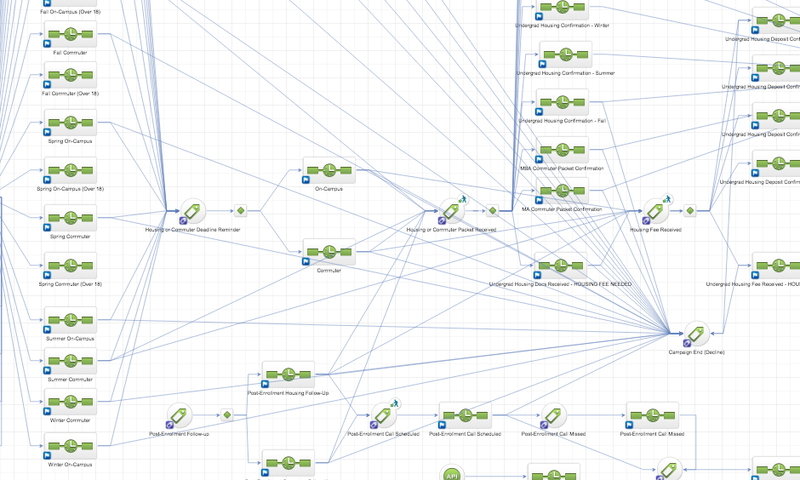 It's just that the visual reporting interface inside of Campaign Builder only goes back 30-days. But if you use the Marketing -> Reports -> Campaign Goal Report you'll be able to go back indefinitely. Why is this Law Important? 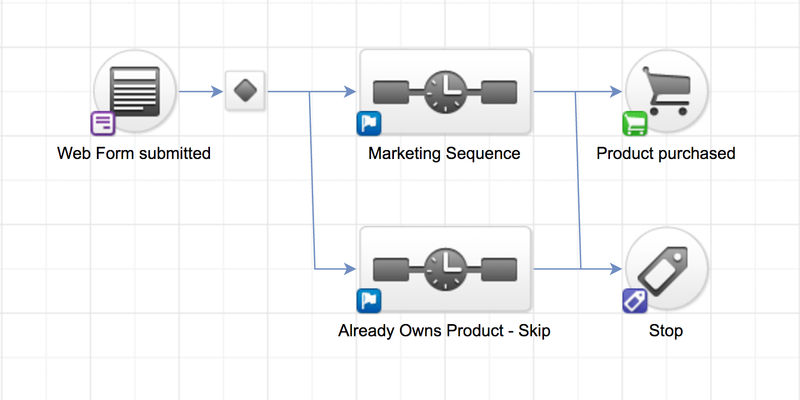 Adding start and stop goals keep your campaigns well-structured and organized. You'll easily be able to remove any contact from any campaign via the simple application of the stop goal (usually a tag). You won't have surprises (or as many of them anyway) from contacts that are queued up suddenly getting several emails at once when you add to a sequence. You won't keep contacts just “hanging out” in your campaigns, but rather, you'll progress them logically thru the campaign to a conclusion. Campaigns are meant to be “goal achievement” systems. By dangling up contacts in never ending queues, they never reach a goal, never conclude. Seeing a contact thru to a “goal” at the end is more logical and structured. Creating end goals means that your campaign has an objective (or multiple) and you will now be able to easily track those via the Marketing -> Reports -> Campaign Goal Report. There are many more reasons, but those are some of the most important. 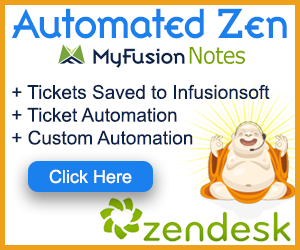 Want Infusionsoft Tips, Tricks and Ninja Hacks delivered straight to your Inbox? 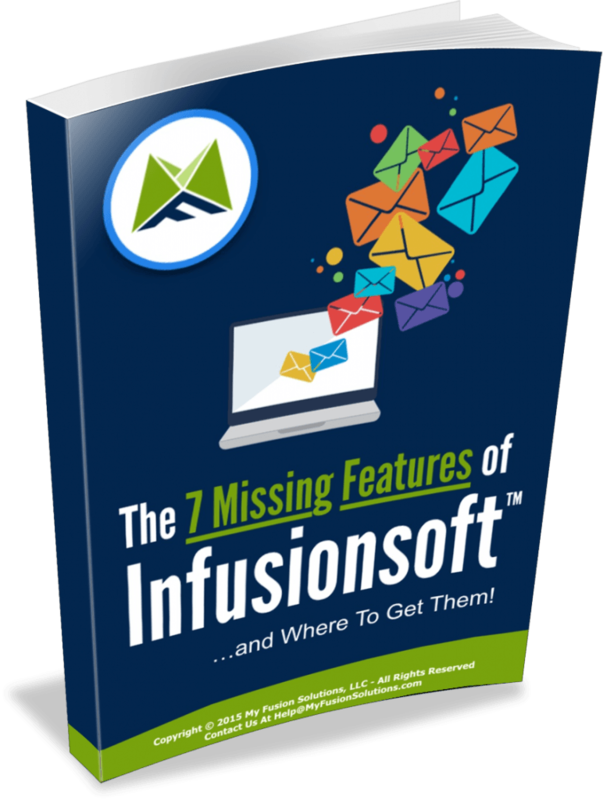 The Seven Missing Features of Infusionsoft… and How to Add Them to Your App! Download the free report above for all of the answers!